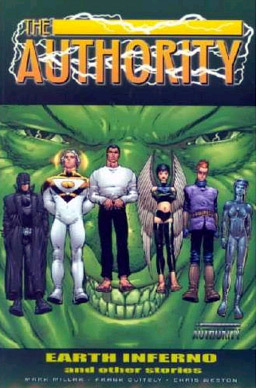 The Authority is a superhero comic book. 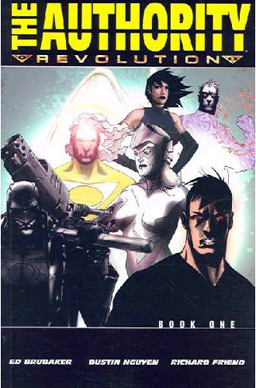 It was created by Warren Ellis and Bryan Hitch, published by Wildstorm and follows the adventures of The Authority, a superhero team comprising mainly of Ellis-created characters taken from Stormwatch - a title Ellis had previously written. It is notable for its intense graphic violence and visual flair, often described as "widescreen" comics, and the uncompromising attitudes of its characters (leading to them often being described as fascists). Author: Millar, Mark/ Quitely, Frank/ Weston, Chris. Author: Brubaker, Ed/ Nguyen, Dustin (ILT).